Gasthof Simony is where we stayed. 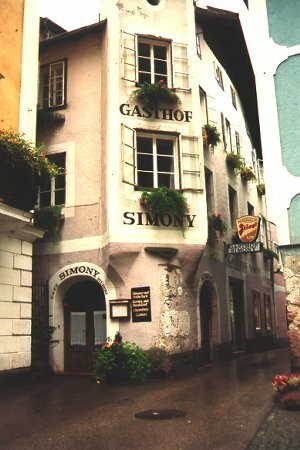 Our room was on the second floor with the windows seen here between Gasthof and Simony! The porcelain furnace in our room was 300 years old. We did not light it! 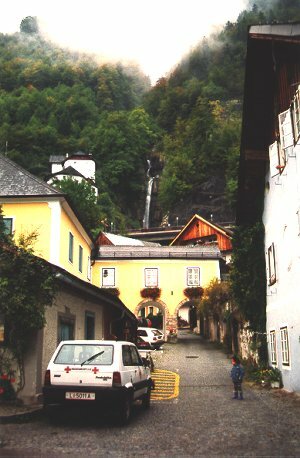 In town we can see the waterfall and it runs via a small stream through town down to the lake.